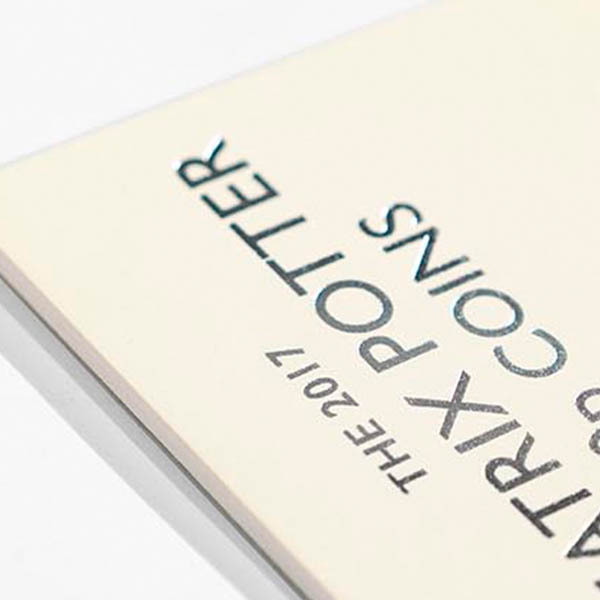 Foiling is a great finish for premium or luxury brands looking to elevate their stationery or add the finishing touches to their marketing materials. 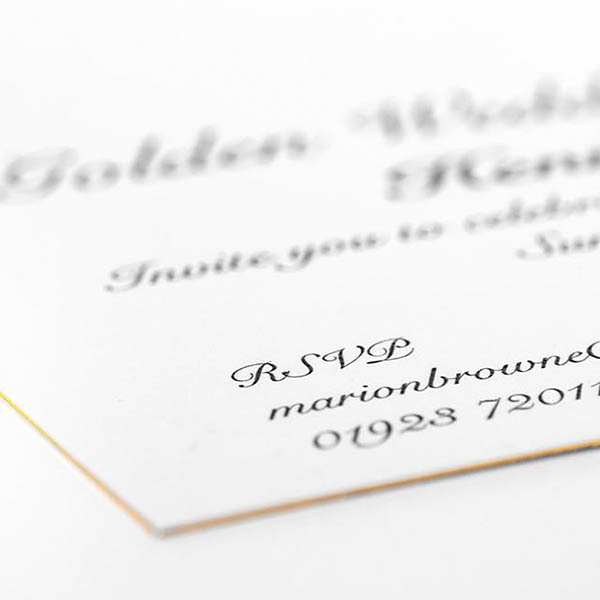 There are a wide range of metallic foil options available including gold, silver, colours and holographic styles. 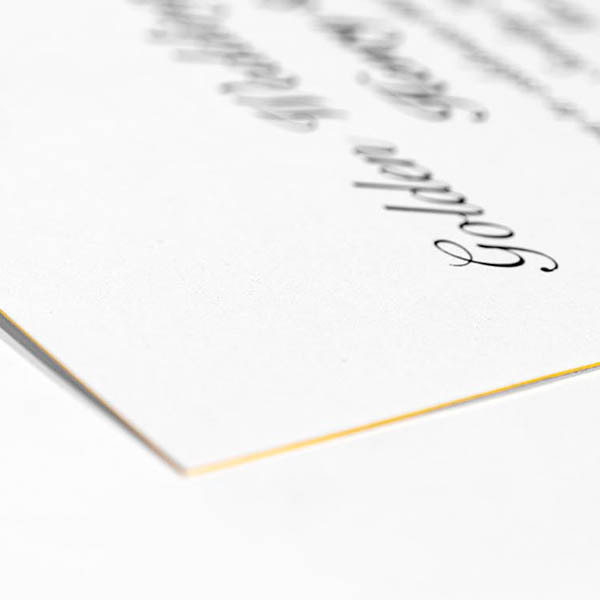 White ink is useful for producing white details in print over a coloured stock or kraft paper for example. We typically use Pantone inks for printing and can produce a huge range of colours and finishes such as fluorescents, metallics or even glow in the dark. We use die cutting on a variety of jobs as it allows us to produce bespoke shapes or intricate details. 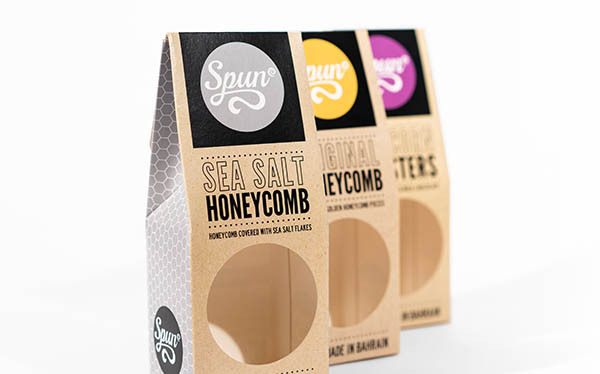 Cutting out viewing windows, punching holes or producing custom packaging nets has never been easier. 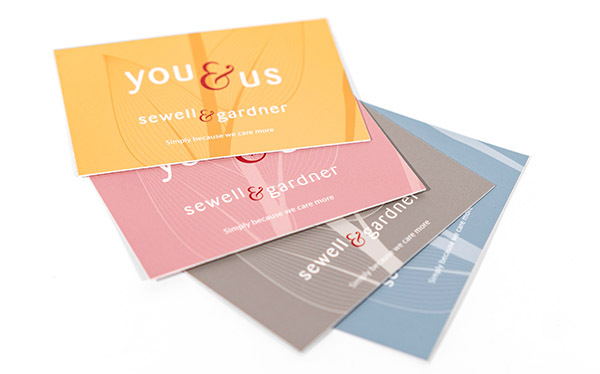 Adding a varnish to your print is a subtle way of elevating the aesthetic of your product. 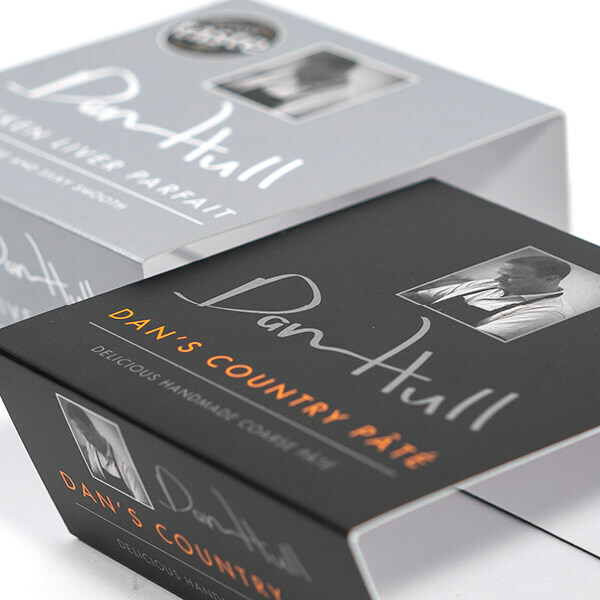 We use UV or raised UV to draw attention to specific parts of the design and create a more interactive, tactile piece. 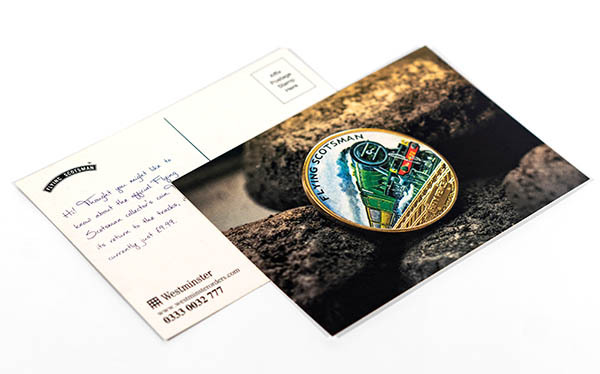 Embossing is simply raising parts of the design to provide a 3D tactile element to the product, adding highlights and shadows that interact with the light. 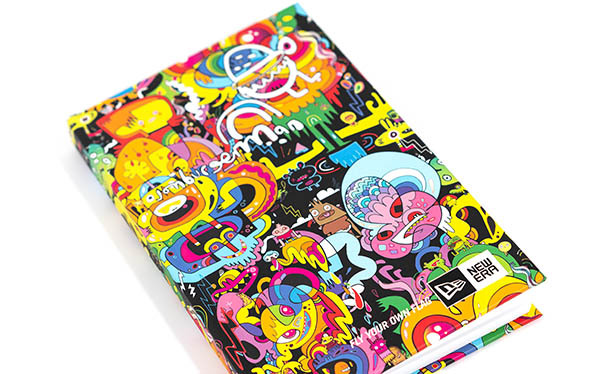 With the added depth to the design, your product will have a fantastic look and feel that your audience will be happy to keep. 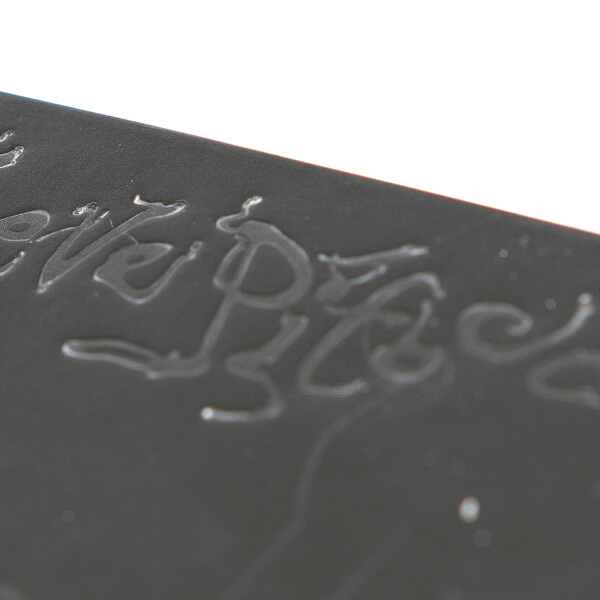 Debossing is the opposite to embossing and features indented or pressed parts of the design which again add depth. Consider debossing your logo into a branded leather notebook for a great client gift or promotional tool.